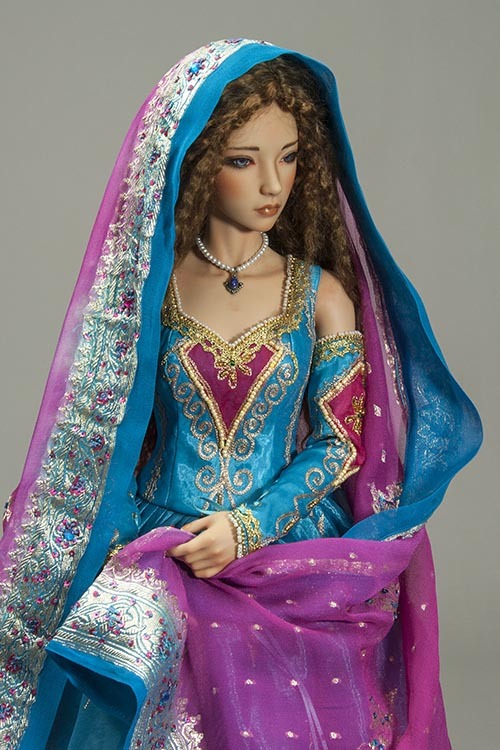 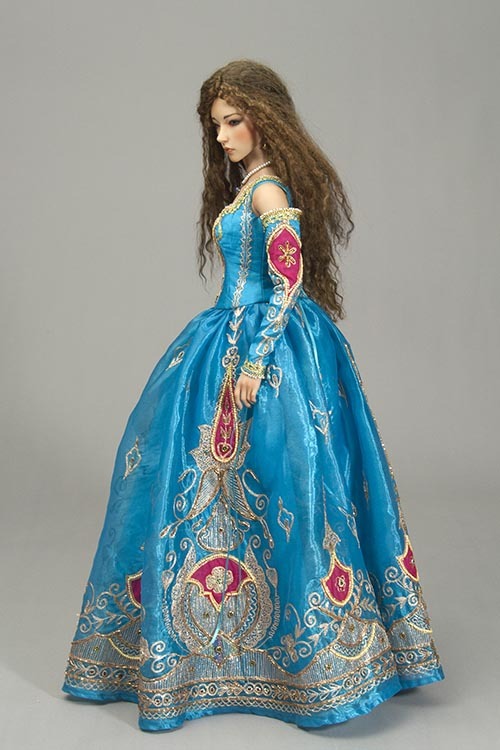 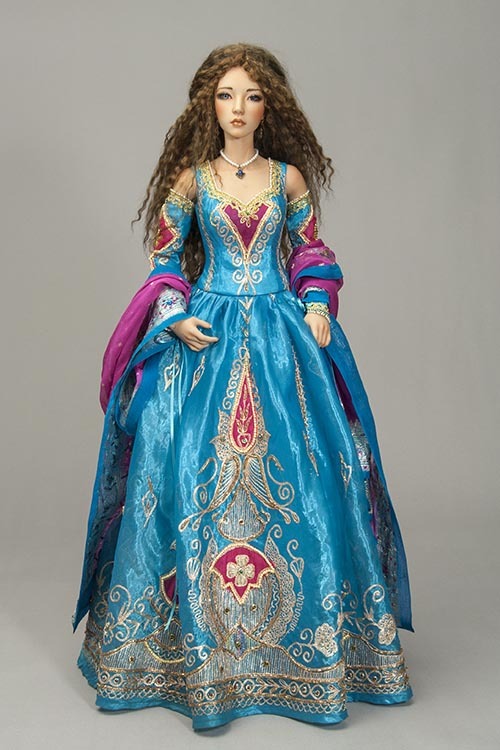 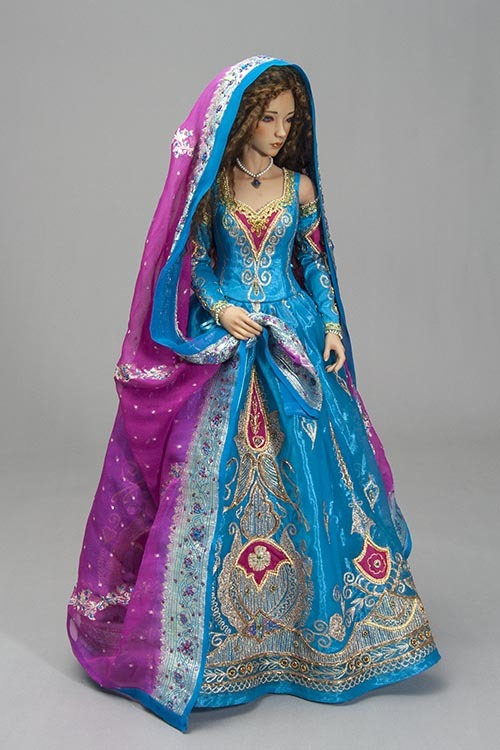 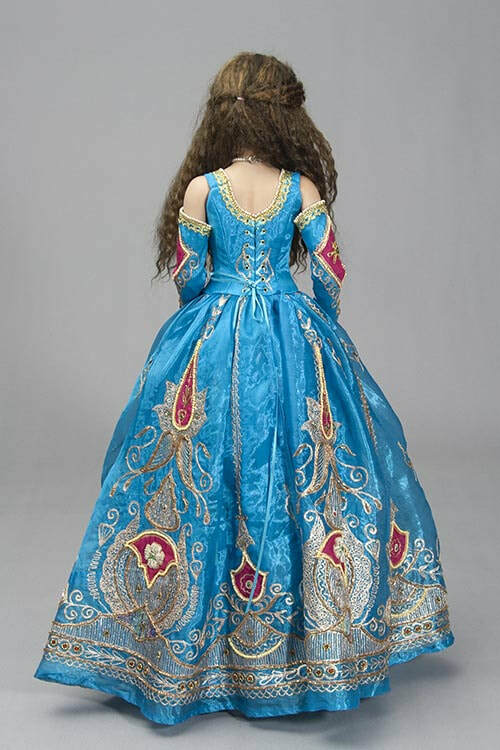 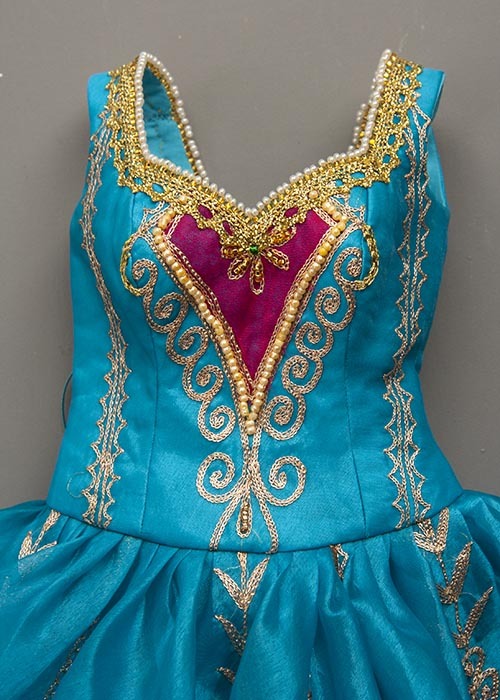 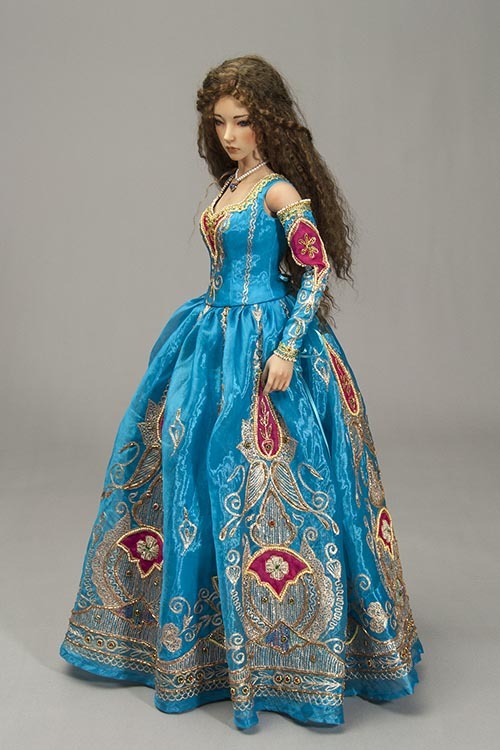 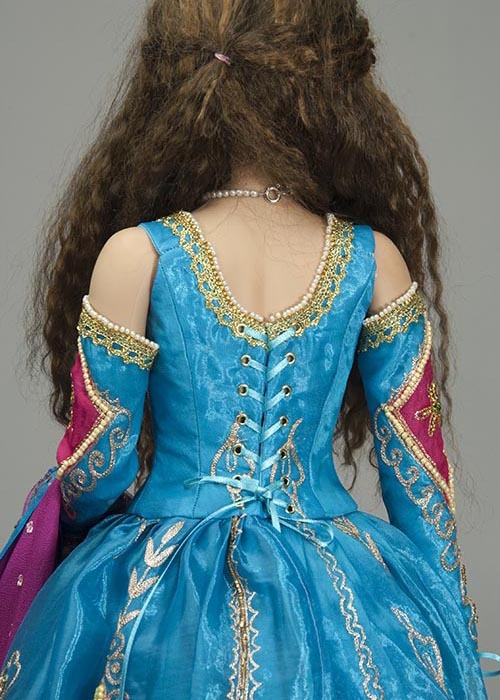 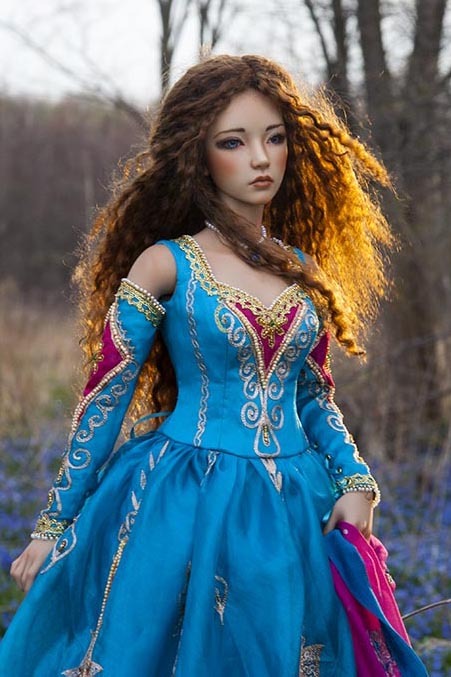 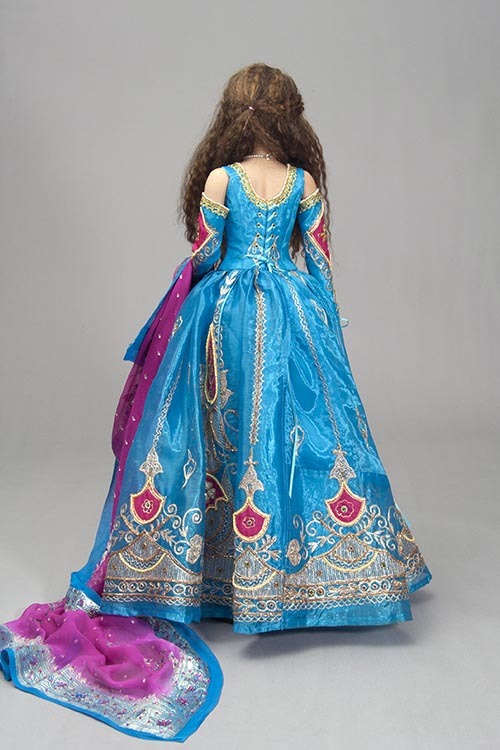 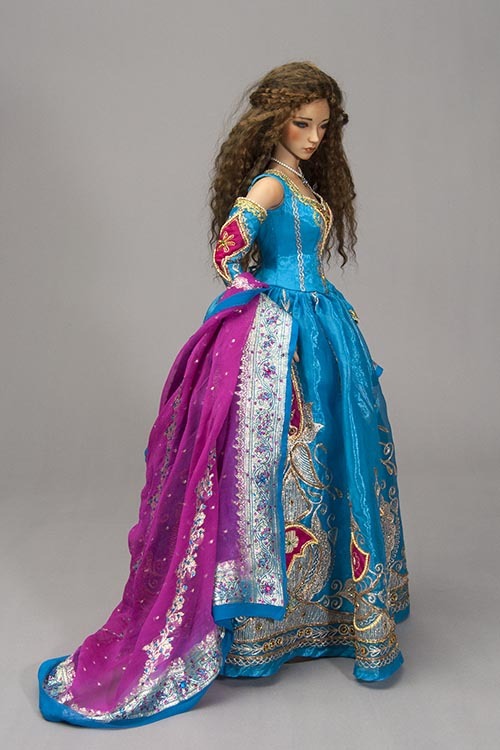 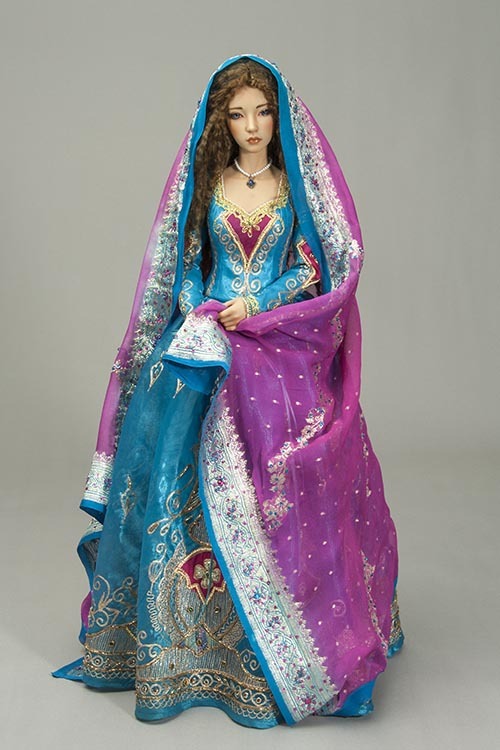 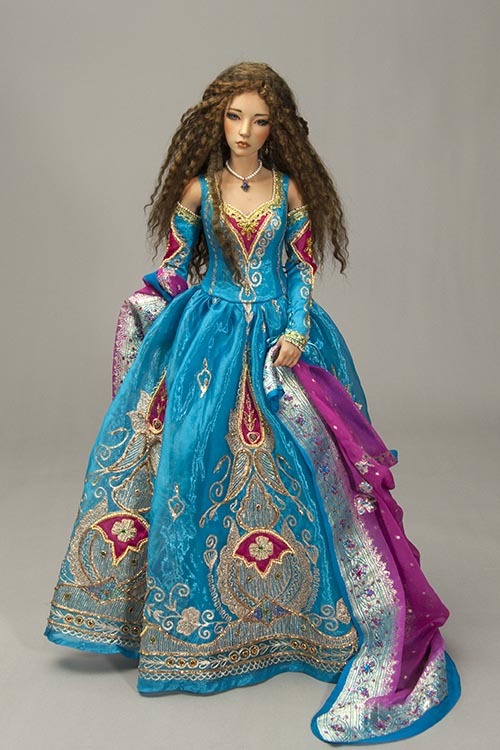 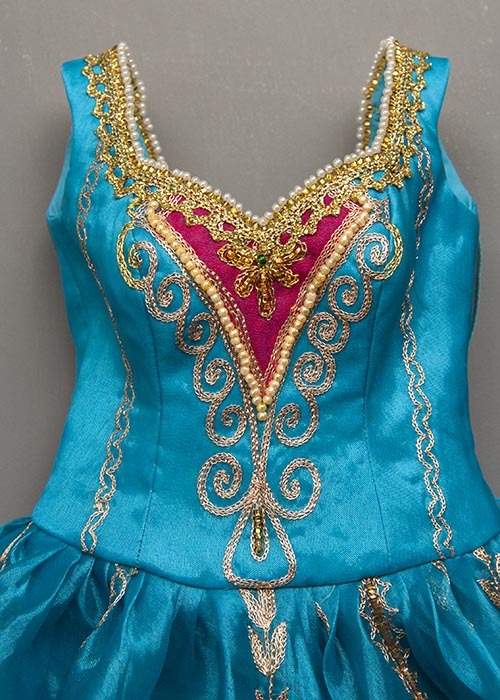 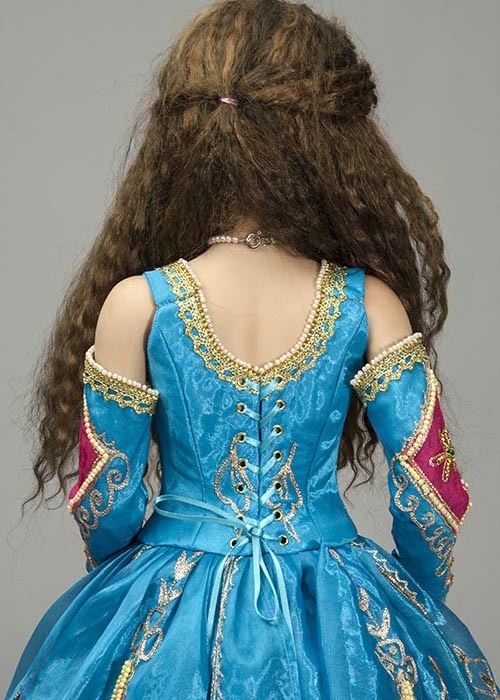 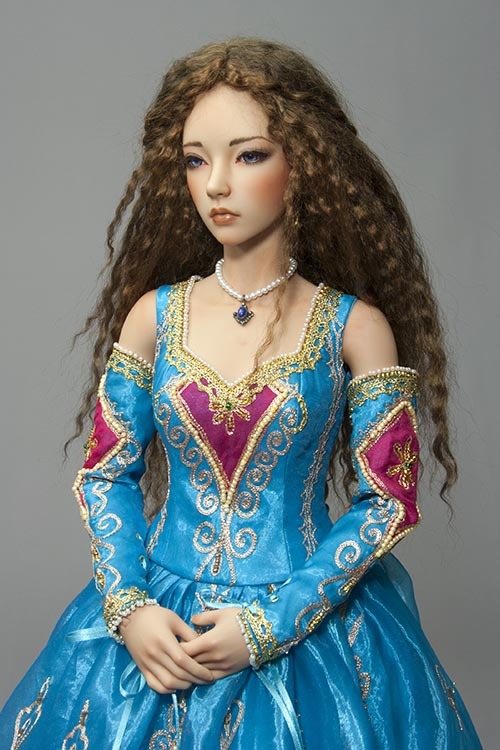 Modeling this SID-size costume is my beautiful ball-jointed doll, Asa by Iplehouse. 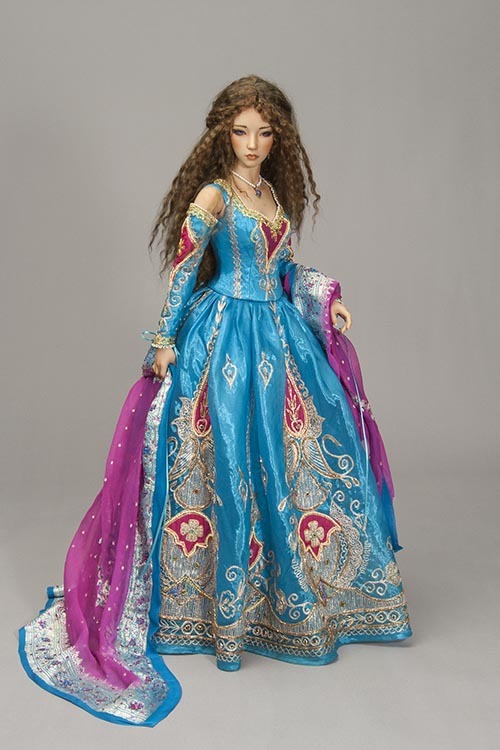 ​Hips 29.6cm, Shoulder width (arms included) 12.5cm, Arm length 19.5cm, Leg length (waist to toe) 40cm. 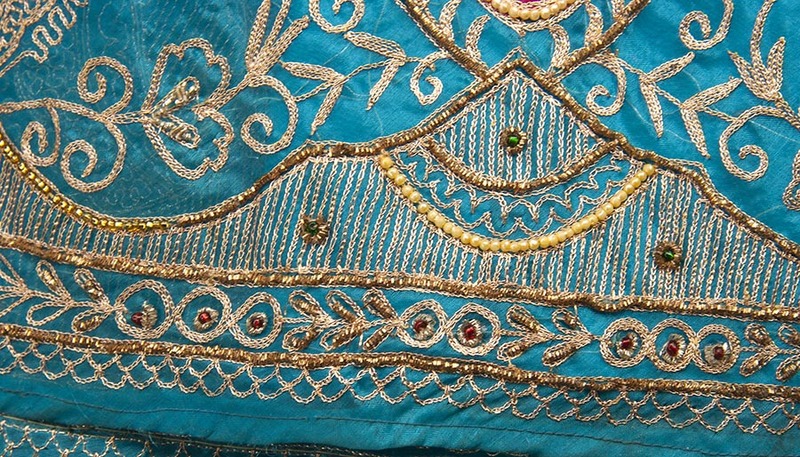 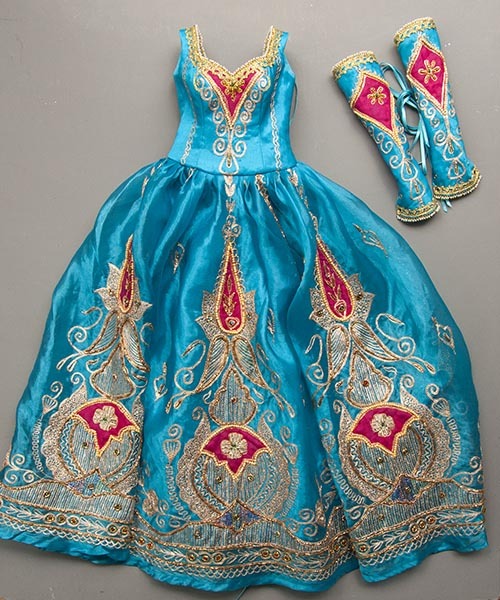 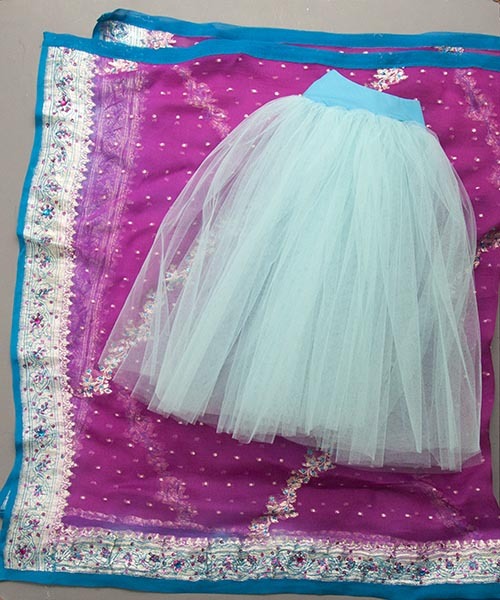 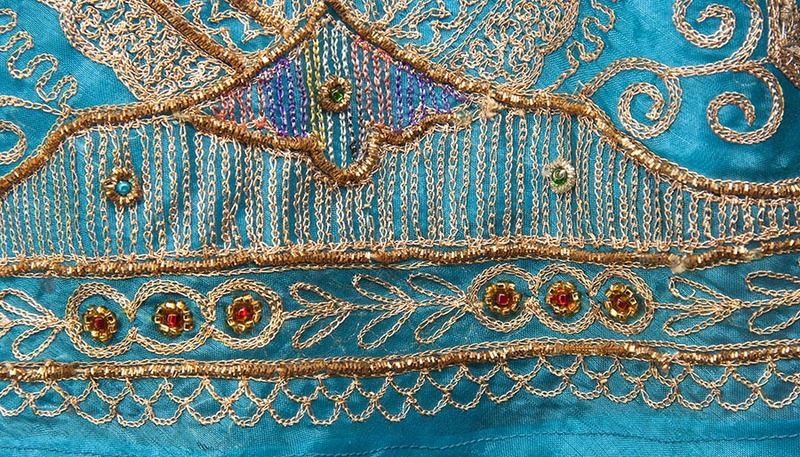 These two gowns were made from a heavily embellished Indian skirt, and a pink and blue sari.